Marijuana keeps generating intense debate despite the many benefits many people are taking advantage of. One of the discussions involving the use of cannabis revolves around the question of whether using marijuana can help a person gain weight. While many people assure cannabis help gaining weight, studies tend to demonstrate the contrary to some extent. Does using cannabis get to the point where it helps a person put in some weight? Inhale MD invites you to keep reading as we discuss whether marijuana can help people gain weight. According to a study published by Innovations in Clinical Neuroscience, marijuana may have the potential for weight gaining. This may be one of the reasons cannabis has been picking up steam within the medical community. For instance, cannabis has proven to be effective in fighting some of the most unwanted effects of chemotherapy in cancer patients. 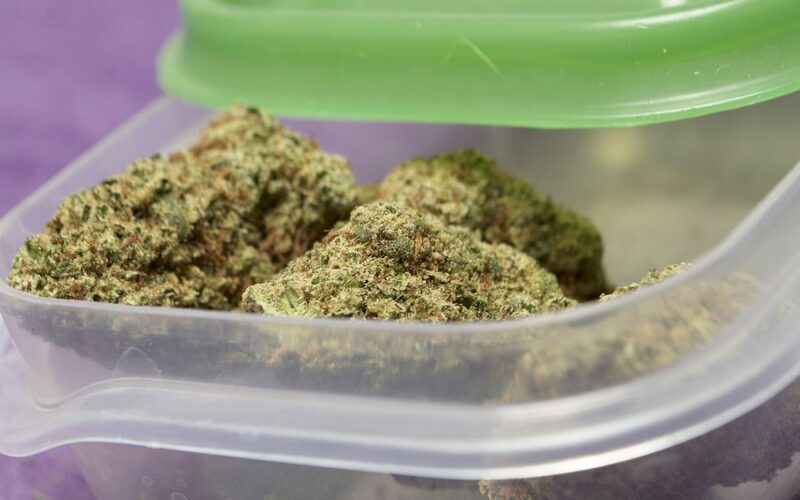 According to the American Cancer Society marijuana can be helpful in helping cancer patients fight off nausea and vomiting symptoms usually caused by chemotherapy. Additionally, cannabis has been known to stimulate appetite on these patients. People who have used cannabis at some point, have expressed to crave food or having the “munchies.” There is a generalized belief that since cannabis stimulates appetite, it is only natural for people to gain weight. However, several studies tend to indicate cannabis can help “regulate” weight in people who are underweight but not on those within proper weight parameters. A study published by The University of California followed almost 4,000 participants through the span of fifteen years. The participants were divided into cannabis users and non-users. It was discovered cannabis users consumed 600 more calories per day than non-users. However, there were no reported increases in the user’s Body Max Index (BMI). Another study published by the Transnational Addiction Research, Centre for Addiction and Mental Health, evaluated two epidemiologic studies to study the correlation between obesity and cannabis use. The results indicated that cannabis users showed fewer signs of obesity compared to those who did not use cannabis. In other words, the prevalence of obesity in cannabis users was lower than in non-users. Many studies like the ones we mentioned above tend to indicate that cannabis can be beneficial to help treat (not cure) specific ailments. However, there is no definitive correlation between using marijuana and gaining weight. Further research is needed to prove cannabis promotes weight gain among users. Everybody’s situation may be different. It is always recommended to talk to your treating physician to know whether medical cannabis can help you with your specific case. Do not try to incorporate marijuana as part of your treatment before talking to your primary care physician. Keep in mind marijuana is still a banned substance under federal law. This means if you or someone you know gets caught using cannabis without a proper permit, you can face federal prosecution. The Endocannabinoid System(ECS) is a biological system made out of endocannabinoids – a type of lipid-based neurotransmitter produced by the body. Additionally, the body has different types of receptors that bond with cannabinoids (different compounds found in cannabis). The most known receptors in our bodies are known as “CB1” and “CB2.” CB1 receptors are mostly found in the brain, central nervous system, glands, and other organs, while CB2 receptors are located within the immune system. CB1 and CB2 receptors react differently to cannabis’ different chemical compounds. For instance, marijuana is known to have more than one hundred different components. Out of all different chemical compounds, THC (tetrahydrocannabinol) and CBD (cannabidiol) are the most researched. THC is responsible for causing the psychotropic effect most people describe as a “high.” CBD, on the other hand, is known to cause the opposite reaction. For instance, THC-rich cannabis has a higher chance to cause its psychotropic effect. On the other hand, CBD-rich cannabis can cause a person to feel more relaxed, without feeling THC’s “high” effect. The CB1 receptors have a higher binding affinity with THC while CB2 has a higher binding affinity with CBD. The THC to CBD ratio to help treat a condition can change depending on the specific circumstances surrounding your condition. An experienced, skilled medical marijuana doctor can help you determine the appropriate dosage to help treat your disease. As cannabis keeps up gaining steam more people are discovering its many benefits. Dealing with a debilitating condition can be tough to deal with. Furthermore, patients may try to look to alternatives other than the traditional approach. This is where cannabis can enter to help you treat your condition. To learn more about the health benefits of medical cannabis and how it can help you with your existing situation, call the Massachusetts medical marijuana doctors today at (617) 861-8519 or contact us online.